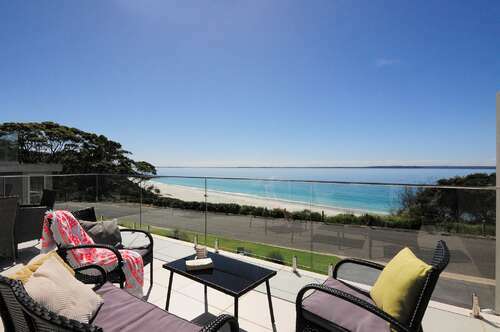 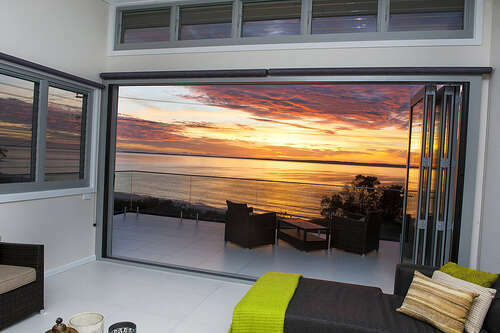 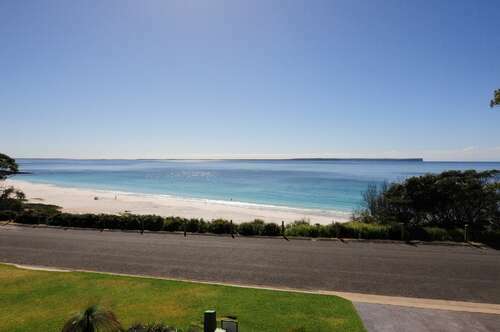 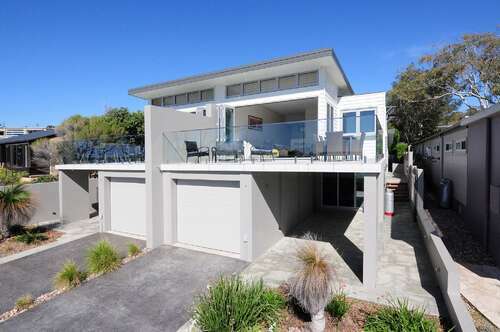 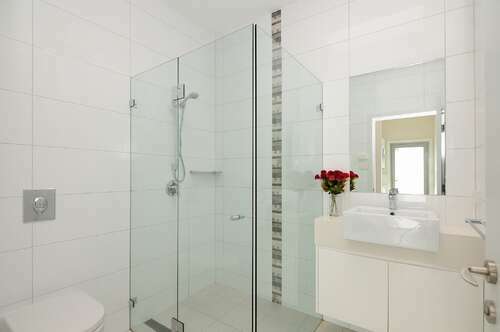 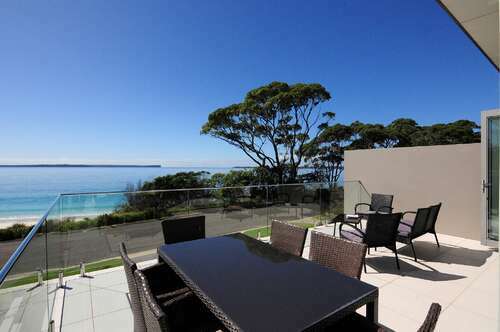 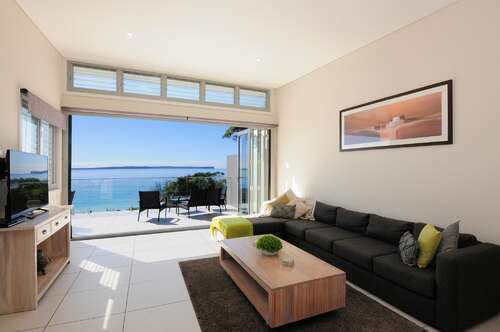 ALLURE at HYAMS is luxury accommodation with magnificent, uninterrupted views of the beautiful white sands and waters of Chinamans Beach and Jervis Bay, with easy access to the beach. 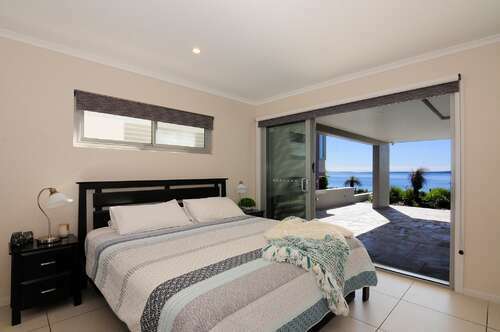 This house was designed specifically to take advantage of the stunning views, and also to provide a very high standard of luxury and comfort for up to 6 guests. 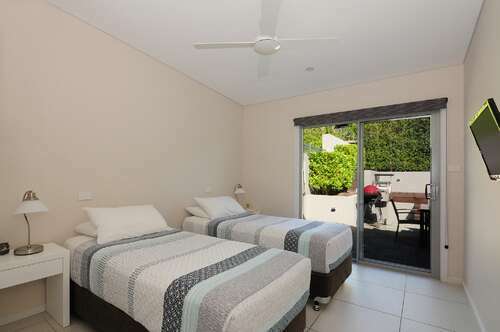 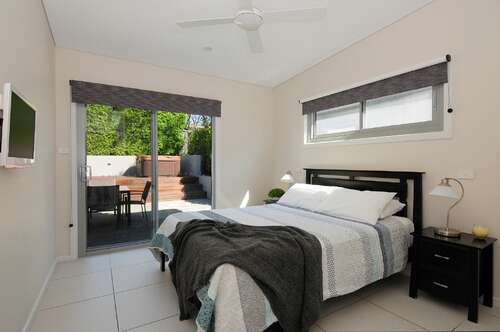 The main bedroom has a King bed with ensuite, the second bedroom a queen bed and the third can be either 2 singles or joined to become a king bed. . 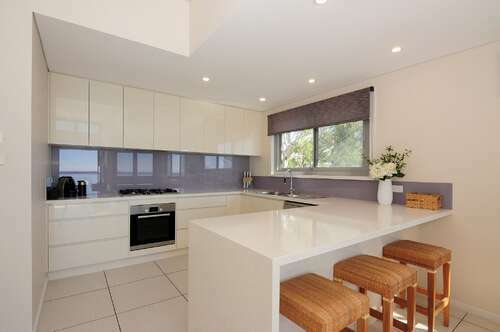 The kitchen, dining and lounge area all have amazing views, and the entire house has underfloor heating. 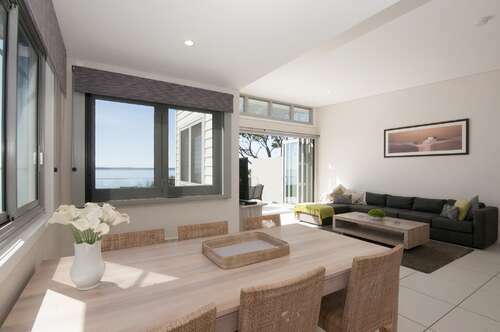 This area opens onto a huge deck area via bi-fold doors, which open across the complete width of the room to maximise the view. 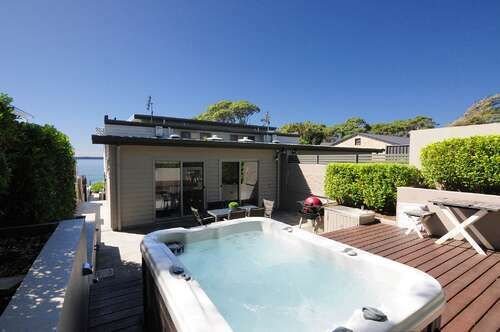 At the rear of the property is a very private area which is beautifully landscaped with hardwood decking, sandstone paving, gardens, barbecue and spa.